Enjoy 5 nights in your Overwater Bungalow at the Tikehau Pearl Beach Resort, a tiny islet of 4 hectares located on the coral reef. 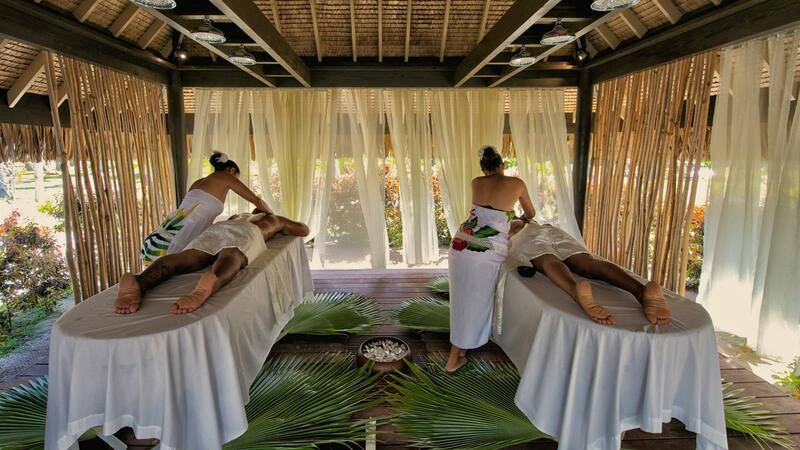 The resort is nested in a coconut plantation bordered by a beautiful white and pink sandy beach. Package includes Full Breakfast daily, a Tahitian Black Pearl Gift, International and Inter-Island Airfare round trip and Airport Transfers. Excursion to Bird Island, Motu Picnic and Snorkeling. For a complete list of recommended Excursions on Tikehau, please refer to the Excursions page and include your preferences on the Quote Request Form.